Last month we had my parents over for a Sunday dinner, and I decided to make a Chicken Enchilada recipe I had my eyes on for a long time. I was pretty sure it would be great since it's from my America's Test Kitchen Complete TV Show Cookbook. At one point as I was making them, I worried that the amount of chicken (12 ounces) would not be enough to feed all 4 of us - especially with 2 men! I thought for sure the amount of filling would not stretch to fill all 10 corn tortillas. I soon realized that cheese is a major component of these enchiladas (bonus!!) I actually ended up having a little extra filling at the end that I baked in a separate dish! These were really phenomenal! 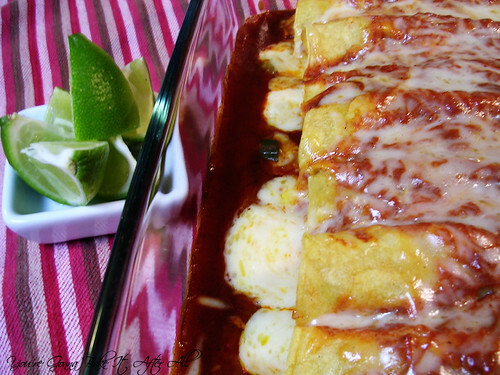 The sauce was the perfect blend of spices, and there was a distinct sweetness to these enchiladas. Bob and my mom actually thought I may have added some our dessert (to be revealed on Thursday) to the dish. The pickled jalapenos gave them a nice, slightly spicy kick. Everyone agreed that these were a success and should be added to the dinner rotation. Thursday I will post a delicious side dish/dessert that completed Mexican Night! 1. To make the sauce and filling, heat oil in a medium saucepan over medium-high heat until hot and shimmering but not smoking, about 2 minutes; add onion and cook, stirring occasionally, until softened and beginning to brown, about 5 minutes. 2. Add garlic, chili powder, coriander, cumin, salt, and sugar; cook, stirring constantly, until fragrant, about 30 seconds. Add chicken and cook, stirring constantly, until coated with spices, about 30 seconds. 3. Add tomato sauce and 3/4 cup water; stir to separate chicken pieces. Bring to simmer, then reduce heat to medium-low; simmer uncovered, stirring occasionally, until chicken is cooked through and flavors have melded, about 8 minutes. 4. Pour mixture through a medium-mesh strainer into a medium bowl, pressing on chicken and onions to extract as much sauce as possible; set sauce aside. 5. Transfer chicken mixture to a large plate; freeze for 10 minutes to cool, then combine with cilantro, jalapenos, and cheese in medium bowl and set aside. 6. Adjust oven racks to upper and lower-middle positions and heat oven to 300F. 7. Place tortillas on two baking sheets. Spray both sides lightly with cooking spray and bake until tortillas are soft and pliable, about 4 minutes. Then increase oven temperature to 400F. Meanwhile, spread 3/4 cup enchilada sauce to cover the bottom of a 13 x 9-inch baking dish. 8. To fill tortillas, add 1/3 cup filling to each and roll tightly. Place into baking dish side by side, seam-side down. 9. 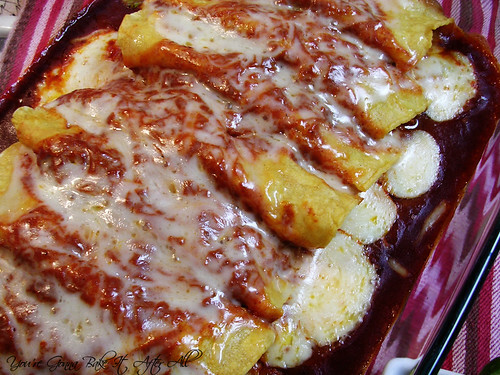 Pour remaining sauce over the top of the enchiladas and use a spoon to spread the sauce over the enchiladas. Sprinkle 1/4 cup grated cheese down center of dish. Cover baking dish with foil. 10. 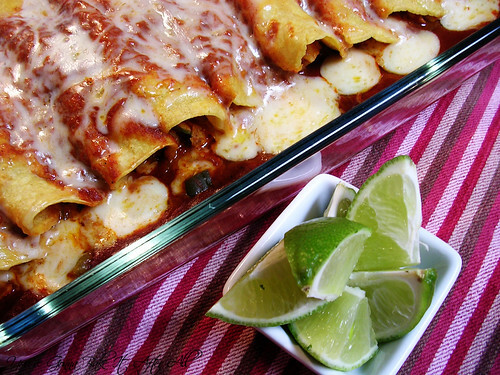 Bake enchiladas on lower-middle rack until heated through and cheese is melted, 20 to 25 minutes. Uncover and serve immediately, passing sour cream, avocado, lettuce, and lime wedges separately. Gorgeous photos! And I can see how the touch of sweetness totally makes these. Oops caught a typo! What I meant to say was: I have chx enchiladas scheduled for next weeks meal plan. These look great. Photos are awesome. I love Cooks Illustrated . These look soooo good! Where did you fine YELLOW corn tortillas? We can only find white corn tortillas. I don't know if it really makes a difference taste-wise, but I think the yellow ones are prettier. What brand are they? 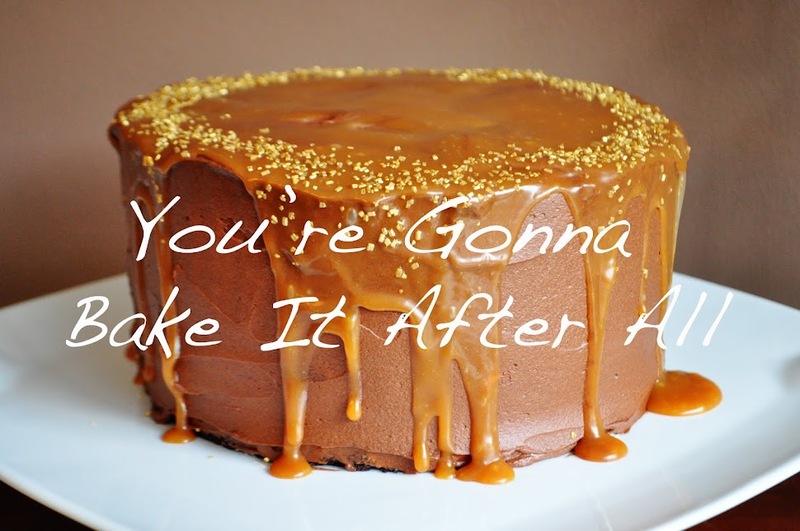 Your photos really looks delish and tempting. love to pair this one with fresh lettuce. Got to bookmark this one for this saturday treats. Also, this "meal" was the best! These photos are making my mouth water! Can't wait to try this!